As chefs prepare for one of the busiest days in a restaurant’s calendar, they will have more to chew on than taste testing their Valentine’s Day specials. Restaurants are on the front line of fighting kitchen food waste, and now there’s data showing that it’s a money saver for the industry too. 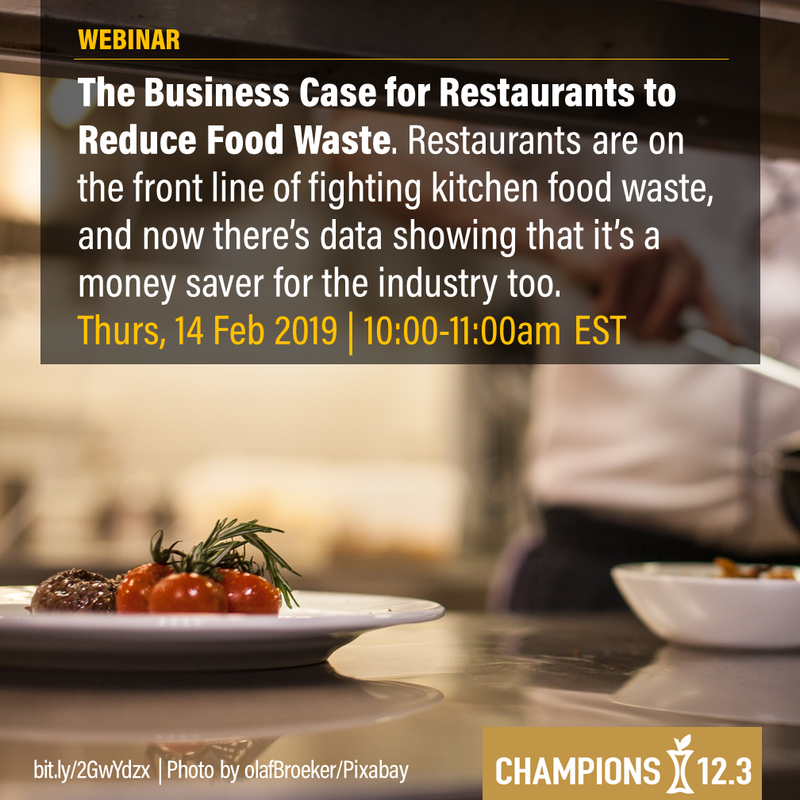 We will unveil findings from Champions 12.3's first-of-its-kind analysis of 114 restaurants in 12 countries that shows a robust business case for restaurants to reduce kitchen food waste. You will hear about the return on investment restaurants are achieving, the strategies Pizza Hut has used to tackle waste while serving food that keeps customers coming back, and how the Food Loss & Waste Standard can help restaurants get started. This free 60-minute webinar will dig into the figures, deliver practical advice, and offer you a chance to ask questions of the experts.